14 August 2015, at 12:00a.m. Dr Bob Carling discusses how farmers can use pigs to control and prevent troublesome nutsedge plants which are becoming resistant to chemical treatments. One of the most troublesome weeds disrupting annual cropping systems in several states of the USA is the grass-like nutsedges, Cyperus esculentus and C. rotundas, the yellow and purple nutsedges, respectively. Their tubers can survive in the soil in the top six inches of soil where they can survive for several years. Not only are they a weed-problem in agriculture, these perennial plants are a problem for lawns and there appears to be evidence that they are becoming less and less responsive to chemical control. Once established, nutsedge plants are difficult to control. 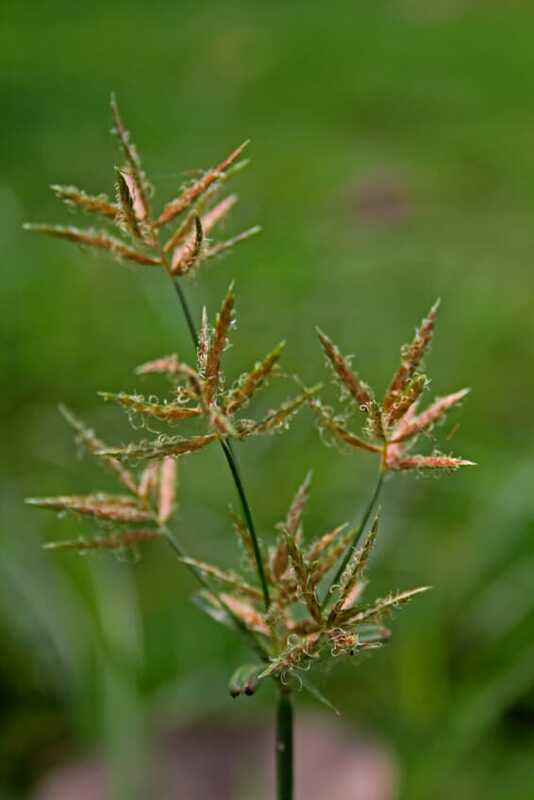 Hitherto, the approach to avoid nutsedge problems was to prevent the establishment of the weed in the first place. The advice has been: to ensure that nutsedge tubers are not brought in with topsoil or other materials, to eliminate the conditions that favour nutsedge growth, and to remove the plants by removing shoots and by using selective hebicides. So far, so complex and time (and money) consuming. However, pigs (Sus domesticus), which have traditionally been used to control weeds in some agricultural systems, are able to root out and eat these troublesome nutsedge tubers, reducing the problem significantly without the need for chemical control. Greg MacDonald, Professor of Agronomy and Weed Science at the University of Florida’s Plant Science Research and Education Unit (PSREU) said that, “Despite the unpleasant taste of purple nutsedge tubers, these animals appear to have the capacity to reduce nutsedge in a relatively short period of time.” Researchers at the PSREU decided to give this more traditional old-school method a trial. MacDonald’s research was stimulated by Dr Daniel Colvin, the director of the PSREU, who said that, “Old-timers were practicing these methods, but nobody’s ever done any research on it”. Colvin recalled that as a boy, he remembered pigs being used after the summer peanut crop had been picked: “You’d come in the next year and have almost no weeds at all”. So, in the spring of 2014, MacDonald started looking at the control of nutsedge using pigs. His preliminary results have now been published as an abstract at the Southern Weed Science Society Annual Meeting in Savannah, GA. 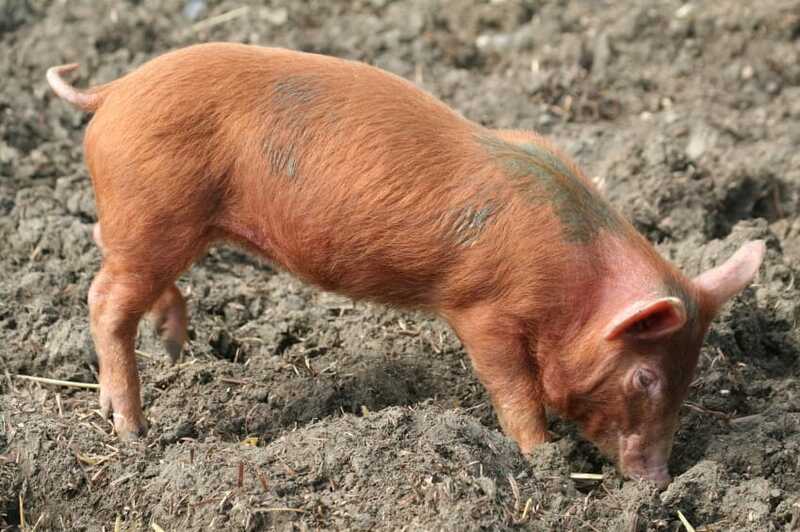 He used pigs that were allowed to forage in pens and then analysed soil samples for nutsedge tubers from the pens. He also tested for herbicide resistance, comparing tubers from the pens grown under greenhouse conditions against reference purple nutsedge, treating plants with the herbicides glyphosate, imazapyr and halosulfuron. Although “There were no statistical differences detected between populations for any of the herbicides evaluated, indicating a lack of resistance development”, he found that, “based on tuber numbers, the pigs caused a 48% reduction in nutsedge tuber density”. So, this old-school method of controlling a weed that looks like grass, and is so remarkably resilient that it can sprout up through plastic crop coverings, could be controlled using pigs. Moreover, it can be used on organic farms that eschew the use of pesticides. Although further scientific experimentation is needed – for example, to control for fertilizer levels in the soil – such a technique seems to be a good weed control method. So, sometimes the ‘old-fashioned ways are the best ways’, i.e. letting loose pigs in fields that are not being used for crops and getting the pigs to do what they do naturally.